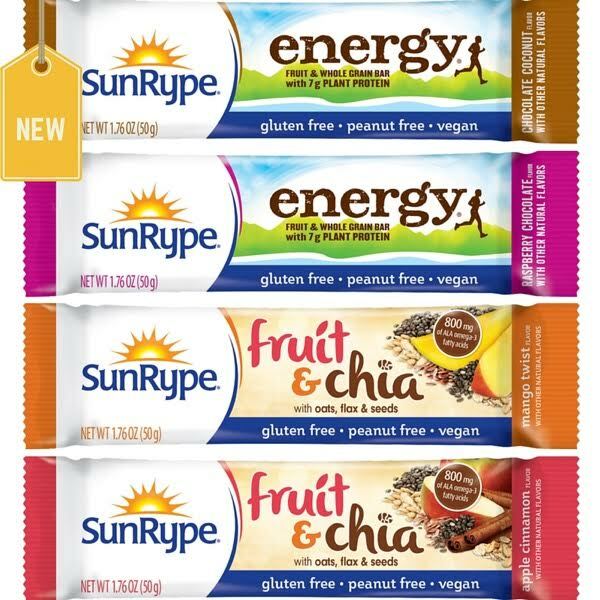 Sunrype’s food products have always been known for their natural and clean labels that contain no added sugar or artificial flavors. Clean labels are no longer a trend it's the rule. 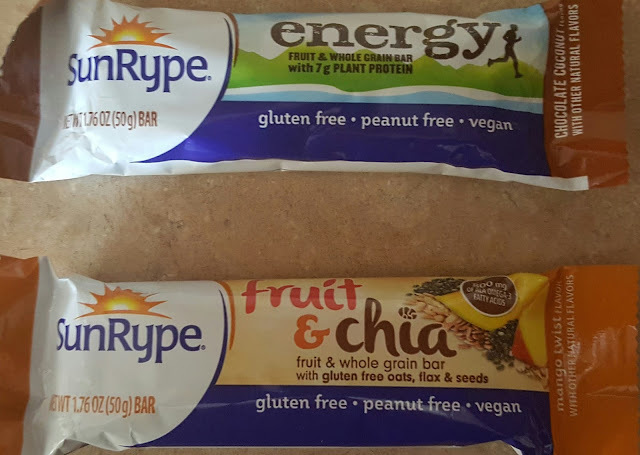 Many people and children can only have gluten free products and within the last year Sunrype's made a commitment to bring their customers just that. I received the fruit & chia whole grain bars that are gluten free, peanut free and vegan. Fruit & Chia bars are fruit & whole grain bars with gluten free oats, flax & seeds. they are a good source of vital nutrients like phosphorus, magnesium, fiber and omega-3 fatty acids to help you feel your best every day. My son is always looking for healthy snacks and snacks to bring to work. He loves the energy Sunrype Bars. He is always on the go and these are perfect to keep his energy level up and to snack in between meals. These look awesome! And perfect snacks for my kids. Thanks so much for sharing! I haven't tried this yet. I'd give them a taste. They sound good. I'm always looking for healthy snacks for my kids. I have to check this product out. These look great and I love healthy snacks for on the go. I have not tried these but I think I will. This is great for both kids and adults. This seems like such a good choice! As a college student, I'm always rushing off to class. I could really use something like this to make sure I have something healthier to eat on the go! Oooooo these sound great!!! I'm always looking for new healthier snack options! These are so great for people with allergies. It is so hard to find good quality, good tasting snacks for children. My daughter is four and when she realizes something isn't dipped in chocolate of peanut butter she won't touch it. These may be a great replacement!